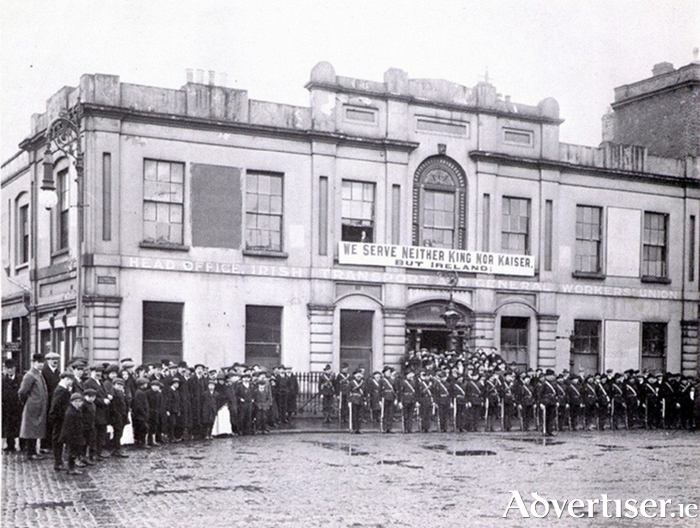 'We serve neither King nor Kaiser, but Ireland,’ so ran the famous declaration of the Irish Citizen Army, formed by James Connolly, James Larkin, and Jack White, and which took part in the revolutionary events of 1913-23. This is one of the first major public events in NUI Galway’s A Nation Rising: Éire á Múscailt programme. It is organized by the Irish Centre for the Histories of Labour & Class a research group based at the university. Admission to the event is free and all are welcome. The audience will be able to ask questions after the speakers have finished.